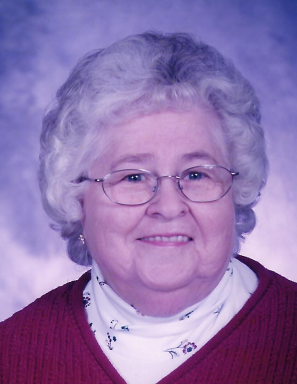 Betty Lee Heizer Osborn, 88, of Tarr Ridge Road, Frenchburg, Kentucky passed away on February 1, 2019 at St. Claire Medical Center, Morehead, KY. She was born June 23, 1930 on Heizer Hill in Pomeroyton, to the late David Nelson Heizer and Bessie Campbell Heizer. She was a homemaker and member of the Mariba Church of God. In addition to her parents, she is preceded in death by her husband of 49 years James Lee Osborn, three sisters Ann Hurt, Marie Luke, and Janice Smallwood and seven brothers Clint Heizer, Ralph Heizer, Seldon Heizer, Frank Heizer, Harold Heizer, William Heizer, and Gene Heizer and a great-grandson Evan James Smallwood. Survivors include two daughters and sons-in-law, Pamela and Dennis Davis and Darlene and Greg Williams, all of Frenchburg, KY; one sister Geneva Powers of Frenchburg, KY; one brother Kenneth Heizer (Lou) of Kettering, OH; three grandchildren Denny Davis (Heidi) of Independence, KY, April Williams and Ashley Smallwood (Jimmie) of Frenchburg, KY; two great-grandsons Levi James Davis and Samuel Carl Davis of Independence, KY.